Inspired by the New York Times’ famous article on no-knead bread-making technique – Sharon and Ted Burdett of Strand Design in Chicago decided to improve on it by creating their own cast-iron oven to go inside a home oven. 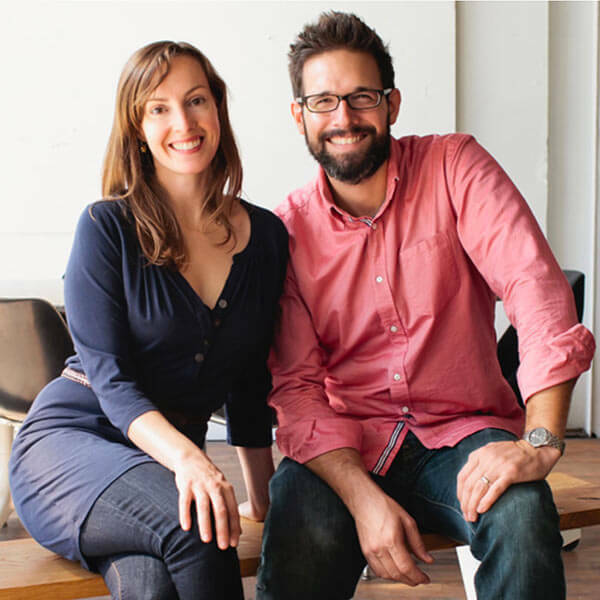 To fund it, they successfully created the Fourneau Oven Kickstarter campaign and raised $165,000. They also wanted to deliver a gorgeous how-to guide and recipe book as a reward for the campaign and to ship with the ovens. Which is why they turned to Blurb. There are lots of ways Blurb can help Kickstarter projects—get inspired and learn more. You can even pre-order your own oven today! We are both avid home cooks, and come from families that love to cook. The inspiration for baking bread at home came from Ted’s dad, who had pretty much perfected the baguette. We generally make bread a few times a month, sometimes more often in the winter when the warmth and scents from the oven are particularly welcome. “One of my students at the Art Institute of Chicago turned his photo collection into a beautiful photo book and submitted the book as a project,” Sharon said. “It was very nicely printed. He talked about how easy it was to make and he could produce as many as he wanted. I checked out your website and found the transparency of the pricing to be great. Also, the InDesign upload was great. I had used Create Space in the past and had a hard time with that. I didn’t like their formats. They made me keep resubmitting over and over—which was frustrating. The Blurb methodology—the templates— awesome. Where did the original idea for the oven come from? Was there an “a-ha” moment? Did you always think you would do a Kickstarter campaign? The idea came from direct experience of baking at home using the “no knead method,” and asking “is there a better way to do this?” As designers, we are always asking these kinds of questions, day in and day out. After getting tired of having to literally drop or throw loaves of bread into a scorching hot pot, we wanted to develop a way that would be easier, safer, and give you more control over the appearance and shape of the bread. We always planned on doing a Kickstarter campaign for this product due to the high cost of tooling. What made you decide to do a cookbook guide? 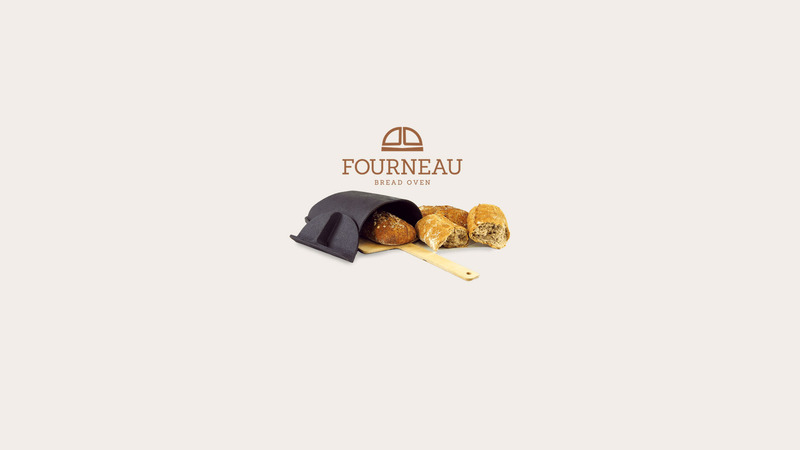 Fourneau Oven is aimed at people who make bread already and/or are interested in making bread. We wanted to show people how to get started to make bread. People think it’s harder than it is. So, we created a guideline on how to make bread, starting with super easy bread recipes and getting gradually more difficult. We also wanted to show creative ways to use Fourneau such as cooking fish over fire, making pizzas, and even hamburger buns. The guide really takes you through all of the steps as well as showing the process of making the oven itself. Have you thought about selling the guide on it’s own or only with the oven? Have you done other Kickstarter campaigns? Was this what you expected? This is the first Kickstarter that we had done for our endeavor, although we have used it for Strand Design clients a few times in the past. We had a blast doing the Kickstarter campaign. Weloved shooting video and talking about the product to get it developed before launching it. It went great and we’revery happy to see how many people are totally psyched about making bread. How much of the work was done before you launched the campaign? Quite a bit. Most importantly, we had created a true “looks-like, works-like” prototype, and had tested it for several months. This gave us a lot of confidence that the product was viable. Post-funding, there was still quite a lot of refinement to do once we got to the “made like” step of actually optimizing the tooling for casting, but we got as close to the final product as we possibly could before launching the campaign. Was the campaign a full-time job? How did you manage it? Did you use any third-party tools or services that you’d recommend? A Kickstarter campaign is absolutely a full time job. We managed it by trying to be as prepared and responsive as possible. Had you ever done anything in cast iron before? How did you find the foundry? The key was to find a foundry that wanted to take the chance with a start-up project like ours. We started with a list of all the foundries in the Great Lakes region and started making calls. We got more people who said no than yes since there are so few factories that make consumer goods. The foundry is in Indiana. They are a good fit and they were interested in working on a venture, product. Very enthusiastic. When we go out there to find manufacturers, they had all the qualities that we look for in a manufacturing partner. How did you budget the project, since you’d never worked with cast iron before? Even though we’ve not worked with cast iron previously, we’ve been manufacturing products in a wide variety of materials for almost seven years. We approached this project in the same way that we approach any product development project; the materials may be different, but the development process is very much the same. So what’s special about the Fourneau Oven? It’s really the first of its kind—a new orientation of bakeware. It creates the perfect conditions for bread making—the bread comes out of the home oven the way that it should by capturing the steam from the dough itself. It’s a miniature version of a commercial steam oven—but you can load it in from the front. Perfect crust formation. A new product like this doesn’t come around all that often. The simple difference is that thishas a lid on the front. But it’s perfect for bread. It is the first oven of its kind. You’ve gotten a lot of good press from Lucky Peach and Food & Wine. How did you do it? The old-fashioned way—we reached out. We had a really good story. We’ve been mentioned in Food & Wine Magazine and the Lucky Peach, as well as the Alliance for American Manufacturing. Maybe hire some people to help us! Any other projects up your sleeve that you can talk about? Things are definitely in the works, but we’d like to make it a surprise! NextWho are Large Order Services?